As a composer, Elizabeths compositions have received numerous awards, & have been performed & broadcast throughout the United States & overseas, including New York City, Boston, Atlanta, Chicago, Minneapolis, Denver, Los Angeles, the San Francisco Bay Area, Seattle, Britain, Switzerland, Germany, Italy, Romania, Holland, Mexico, Australia, & Brazil. Among the various performance venues where her music has been presented are Lincoln Center (New York), Wigmore Hall (London), & the Charles Ives Center for American Music, as well as national & international festivals & conferences such as the Delius Festival, the Piccolo Spoleto Festival, the GEDOK Festival of Music by Women (Germany), the Society for Electro-Acoustic Music in the U.S., & the International Congress on Women in Music. Elegy in Amber (In Memoriam Leonard Bernstein) (string orchestra) was performed by the Hong Kong Sinfonietta (HK) conducted by Jerry Hoberman. Elegy for Strings was performed by the Old Post Road Orchestra (MA) conducted by Neal Schermerhorn. Madrigals Anon (SSATB a cappella voices) was performed by the Gregg Smith Singers (NYC), directed by Gregg Smith, as part of their Millennium Journey series. All Night by the Rose (from Madrigals Anon) was performed by the San Francisco Choral Artists during their 3-concert series, Old Wine in New Bottles. Aquasphere (electronictape) was presented by the CEMI (Center for Experimental Music and Intermedia) electronic music studio at the University of North Texas (a full audio clip is housed at the CEC Website. And Strains and Restraints has been included in a program of contemporary music for solo piano, chosen & performed by pianist Teresa McCollough in a series of concerts presented at concert venues across the U.S.  the program has been recorded by innova Recordings. independent music consultant to conductors, performers, broadcasters, researchers, libraries, etc. on the lyrical side of the program, [Strains and Restraints] began in an almost pastoral style, its graceful melodies set in a mysteriously cloudy harmonic world." more original is Elizabeth Pizer's Expressions Intimes, calmly flowering, bittersweet reveries that explore subtle harmonic shadings somewhere between Ravel and Bill Evans. These quiet, understated, introspective gems offer refuge from everything noisy, aggressive, and ugly." Strains and Restraints, a set of three immensely listenable pieces. couched in full, but clear, harmonies. it takes a finely-tuned ear to attend to the shadings, to make clear but not overstate. exquisite closing moments; 'Playful' is superbboth in delineating the expansive rhythms to maintaining an intensity that is urgent,but never forced. Expressions Intimes, is given a reading of charm and sensitivity. so strong is the jazz influence. for the two Pizer sets, there is a closeness, a one-to-one-ness that is right on target."  "Elizabeth Hayden Pizer's Expressions Intimes, intended as a tribute to Mompou and praised by that composer, is eminently listenable, with a wispy, dreamlike feel to it that does indeed recall Mompou's music as well as the piano music of Debussy and Ravel. Similarly, her Strains and Restraints is a lyrical three-movement work, unaffected and accessible, with a shifting tonality." this compelling work deserves a sensitive interpreter." Her narrative argument is stated eloquently, and phrased expressively, particularly in the third movement."  "Pizer's Elegy is a 1993 memorial to Bernstein (whose name means "amber" in German) for string orchestra. 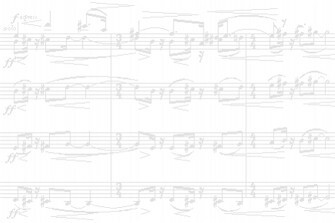 From its dark opening on low, overlapping pedal points, the piece builds slowly through gentle, halting chordal sighs and chiaroscuro harmonic shadings to a trembling climax before subsiding back into darknesswhile unobtrusively weaving melodic fragments from several Bernstein scores into its archlike span. These emerge and subside like halfforgotten memories, adding to the work's poignancy."  "Also neo-Classical in method but far darker in mood is Elizabeth Faw Hayden Pizer's Elegy in Amber, in Memoriam Leonard Bernstein, for string orchestra (9:09). It is boldly and appropriately dramatic in lamentation." Elizabeth Pizer's moving tribute for strings interweaves motifs from Bernstein's compositions and highlights this portrait of American women composers."